Hey jammers! Yellow here. Today I’ll be starting off a new series of posts on the blog all about YOU GUYS! These outfits were submitted to our Discord server in the #jammer-looks channel, and are some of our favorites we’ve seen. If you would like to be credited, please contact Yellow on Discord. This first outfit looks really cute! Lynxes are really good at being small and adorable. I think my favorite part about this outfit is the shoes though. Normally, I hate putting shoe items on animals, but I think that this outfit did it well. 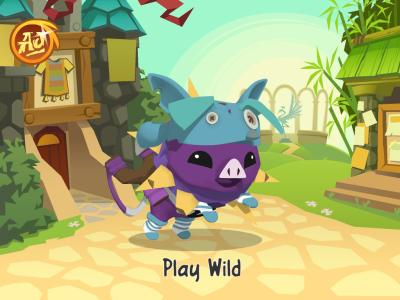 Next up is this nice nonmember pig outfit! The fox hat and socks really go well together, and I like seeing items like the slingshot that don’t get a ton of use. If you want to stand out in a crowd wear something different than the norm. And finally, we have this look on one of the new legendary eagles! 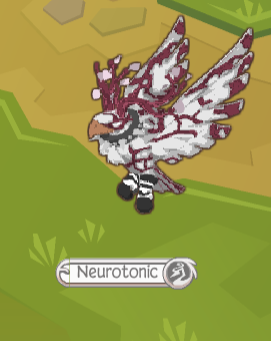 It seems that they’ve glitched the color of their pattern though! Sticking with the very bold black, white, and magenta, looks really nice. That’s all for this post. I’ll be continuing this series soon with another set of three outfits. Happy jamming everyone!